Today’s customers are empowered with more choice, more information, and less incentive to be loyal than ever before. No industry is immune. Companies must provide not just superior offerings, but also differentiated experiences that elevate them above the competition. 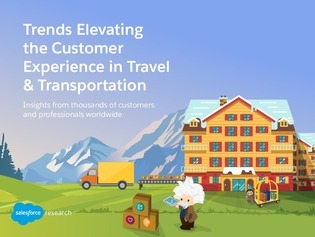 Download this report to explore how travel, transportation, and hospitality companies that focus on personalized, contextualized, and proactive engagement can thrive in this new customer era.